There’s no doubt that at the top of any intrepid traveler’s bucket list is an opportunity to experience the world’s most unique and remote cultures. In Papua New Guinea, visitors have the chance to do just that. With over 800 different languages and tribes, the Mt Hagen Cultural Show, or Sing Sing as referred to in the local language, has become one of the best ways to get an up close and personal look into the rich traditions of PNG’s different tribes. This year’s Mt Hagen Sing Sing will take place August 11 – 12, 2012. In 2013, the show will move back to the third weekend in August. Boasting an attendance of over 75 tribes, The Mt Hagen Sing Sing originated in the late 1950s as a way to improve relations between the various groups, share cultural experiences and celebrate the diversity of cultures among community members. Since then the show has grown and evolved into a truly remarkable display of song and dance where groups come to display stunning facial tattoos, elaborate body paint and ornate headdresses. To reserve a place at the Mt Hagen Sing Sing, contact your preferred travel provider, or visit www.papuanewguinea.travel/USA/tourpackages for more information. 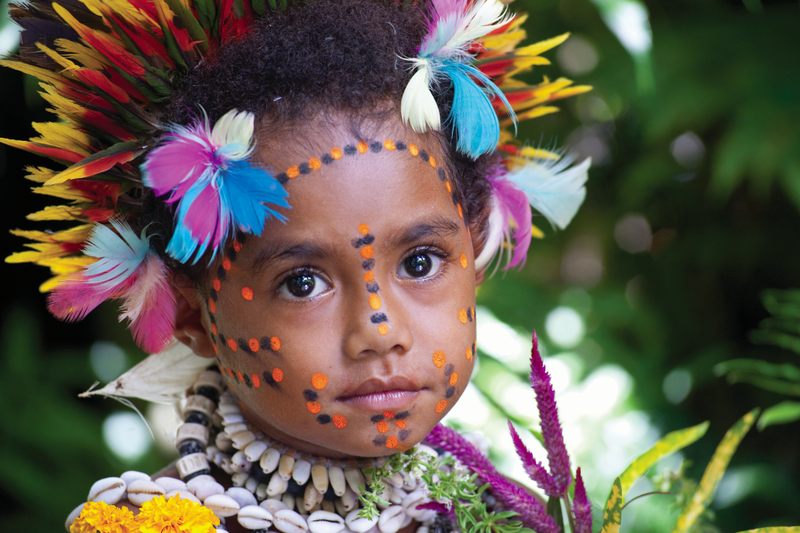 Papua New Guinea is one of the last frontiers of adventure travel, providing an unparalleled array of natural beauty, exotic wildlife and cultural tradition. Located just north of Australia, PNG is the second largest island in the world – slightly larger than the state of California. With over eight hundred known languages, travelers can immerse themselves in vibrant collection of cultural possibilities. Papua New Guinea offers a range of vacation activities from hiking remote jungle trails, cruising the mighty Sepik river, surfing the waves of New Ireland, fishing some 8,000 miles of coastline and experiencing some of the world’s best scuba diving amongst coral reefs, wrecks, walls and caves.